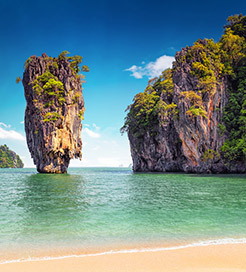 There is currently just the 1 ferry route running between Phuket Island and Phi Phi Island operated by 7 ferry companies – Andaman Wave Master, Bundhaya Speed Boat, Chaokoh Ferry, Phi Phi Cruiser, Satun Pakbara Speed Boat Club, Tigerline Ferry & Andaman Wave Master. The Phuket (Rassada Pier) to Koh Phi Phi (Tonsai Pier) ferry crossing operates weekly with a scheduled sailing duration from about 45 minutes. 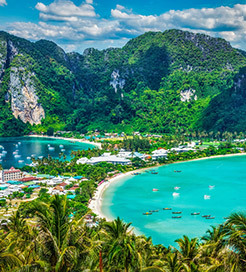 Whilst we’ve taken great care to ensure the information on this page is correct, as the frequency and duration of crossings on all routes can vary from time to time we’d advise that you get a live quote for current availability on this Phuket Island Phi Phi Island crossing between Phuket (Rassada Pier) and Koh Phi Phi (Tonsai Pier).